Sanctuary is located in one of the pristine beaches of Cap Cana and it offers everything you need and more. If you are looking for a luxurious place to get married, then you’ve come to the right place. 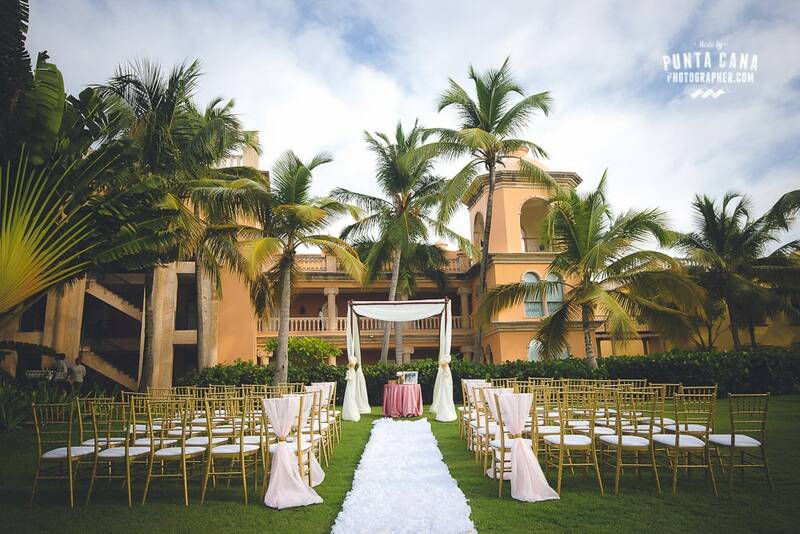 But although this all-inclusive resort is a perfect destination for weddings in Punta Cana, it’s not for everybody. This resort offers luxury along with a stunning service for all your guests, but since this is a couples oriented hotel in which all guests have to be 18+ years old, kids are not allowed at their facilities. 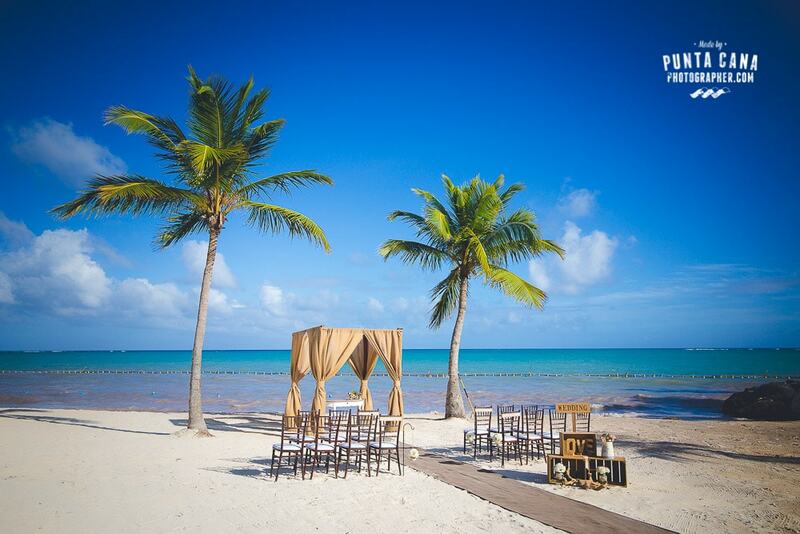 What does this mean for your Punta Cana wedding? That you won’t be able to bring ring bearers, flower girls, or any other kids that your guests may want to bring with them on this trip. What are the pros of this five-star resort? The place is relatively small. It’s not tiny, but you can keep track of your guests if you want to find each other easily. There are only 174 rooms, compared to other resorts that offer somewhere between 500 to 2.000. There are 12 categories of rooms to choose from for your Wedding week or Honeymoon. The main styles are Spanish Colonial, Caribbean Villas and The Castle Suites. The possibility of stay in one of the best rooms in Punta Cana, at the Castle in Sanctuary, allows you to relax inside a private pool while enjoying the ocean waves right next to your windows. The resort is really close to the airport. It’s about 15 minutes away. The beaches in Cap Cana are some of the best in the country. The sand is pure white and the ocean looks turquoise all year round. The ocean is shallow and it’s beautiful for photographs. Doing wedding photos at Sanctuary is one of the best experiences we’ve had. The background possibilities are endless and the quality of the materials used in the construction allow us to photograph a lot of details without being worried about having wedding photos that look cheap or generic. The beach is private. If you don’t like outside vendors or people selling you stuff, this is the place you need. You won’t see people walking behind your wedding gazebo wearing speedos on your wedding day. Sanctuary Cap Cana feels intimate because it is. What are the cons of Sanctuary by AlSol? The beach is small if you don’t leave the area. It may be enough for you, but it’s smaller than other hotels. WiFi at the rooms is optional. You have to pay for it. Even if the resort it’s not huge, there’s a bit of a distance to walk from one room block to another. If you’re staying at the Castle Suites and your guests are at the Colonial part of the hotel, you’ll find yourself walking a lot. This can be seen as a good thing, but maybe not for everyone. Wedding Packages are a lot more expensive than other all inclusive resorts. The good side of this is that you’re paying for absolute privacy. As we said before, forget the little kids on your wedding day. They are not allowed in the hotel. 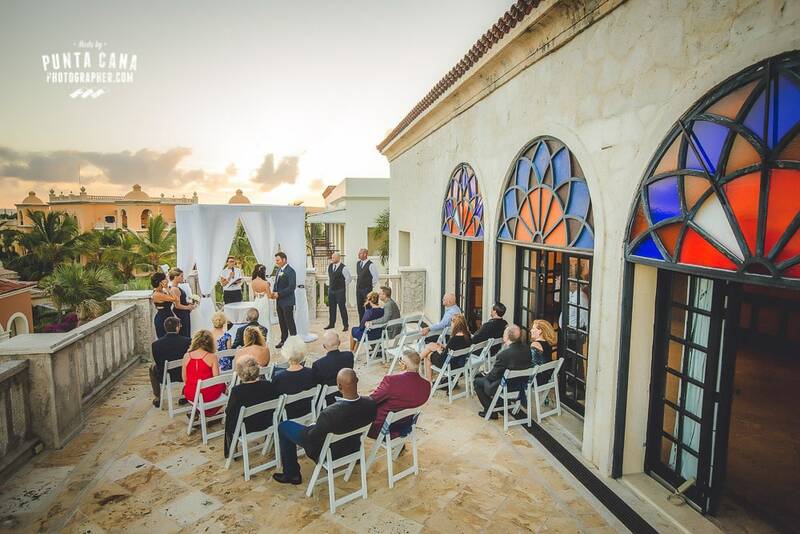 In our experience, weddings held at Sanctuary by AlSol were fantastic. The wedding planners were efficient while doing their work and the ceremonies turned out beautiful and intimate every single time. There’s an obvious price you have to pay to get married in a place like this, but we think it’s totally worth it. Being able to enjoy with your family and friends in an environment surrounded by palm trees and white sand instead of tourists and strangers can be an enjoyable experience that you and your guests will never forget.